Just enter using the discount code POPPY1925. 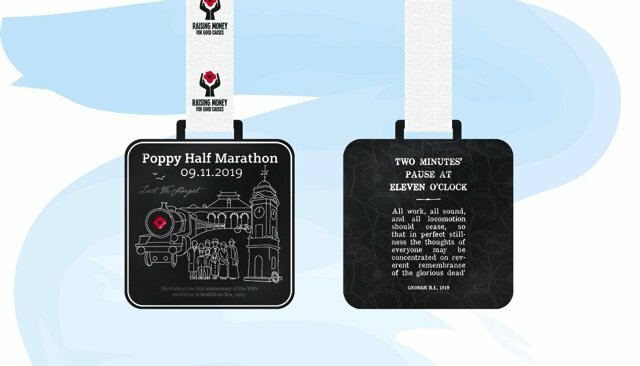 Finishers once again will be rewarded with a limited edition commemorative medal. This wonderful medal not only captures Remembrance Day but also brings the historic parts of Bexhill into life. We are in process of securing artists for our Charity Music Show at the De La Warr Pavilion. This takes place on the evening after the Poppy Half Marathon, so please do come and boogey the night away and support a great cause..
42 weeks till race day, so good luck with your training and racing in 2019 and hopefully see you in November!